Annually observed on 2nd November, All Souls' Day is an important Christian religious holiday that is dedicated to the remembrance of the departed. Celebrated under various names in different nations, this is an occassion that testifies to the fact that death can never lessen the love of man for his dear ones. TheHolidaySpot brings to you a beautiful section on All Souls' Day that is in accordance with the mood of the event. Use our wonderful e-cards, wallpapers and craft ideas to make the holiday a memorable and heartwarming occasion for your loved ones. Also check our illuminating articles on the history of All Souls' Day, the customs, quotes and facts linked to it and more. If you enjoy our All Souls' Day section, please click here and refer it to your friends and dear ones. Have a great time with TheHolidaySpot. 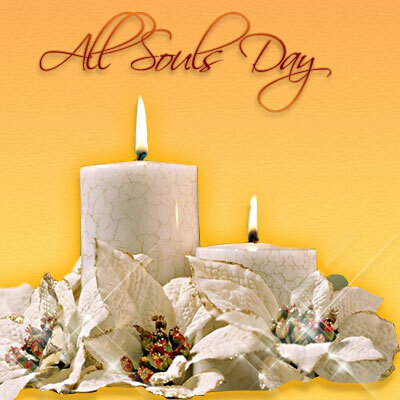 Know the various traditions associated with All Soul's Day and how they differ from place to place. Find out where All Soul's Day got its roots from and how this unique occassion evolved over time. 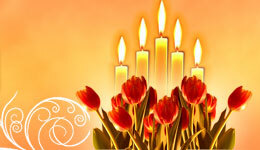 Share memories and send wishes to loved ones with beautiful e-cards related to the occassion. Set on your PC or send to loved ones free, beautiful desktop wallpapers themed to All Souls Day. Know all about the facts and misconceptions commonly associated with this primitive occassion. Cook up yummy dishes related to All Soul's Day with our culinary directions and celebrate the holiday.